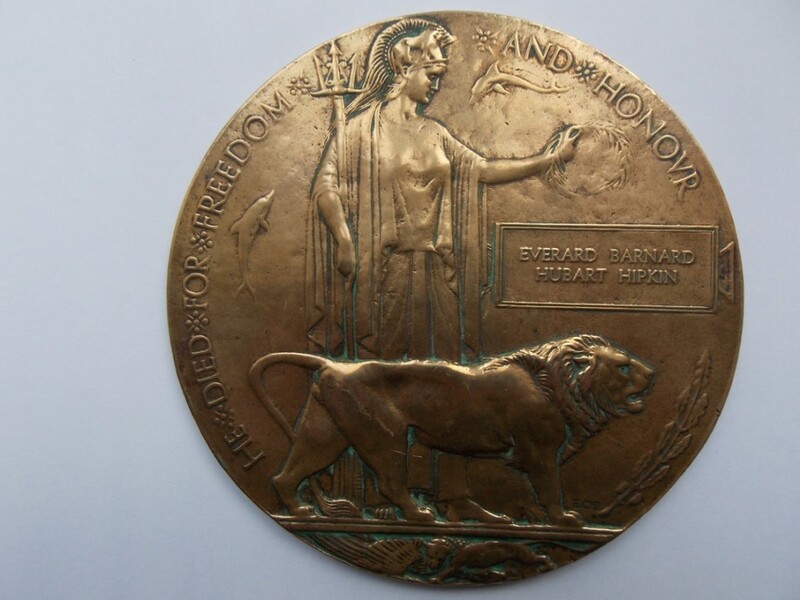 Pte.15154 Everard Barnard Hipkin 8th Btn.Norfolk Regiment. 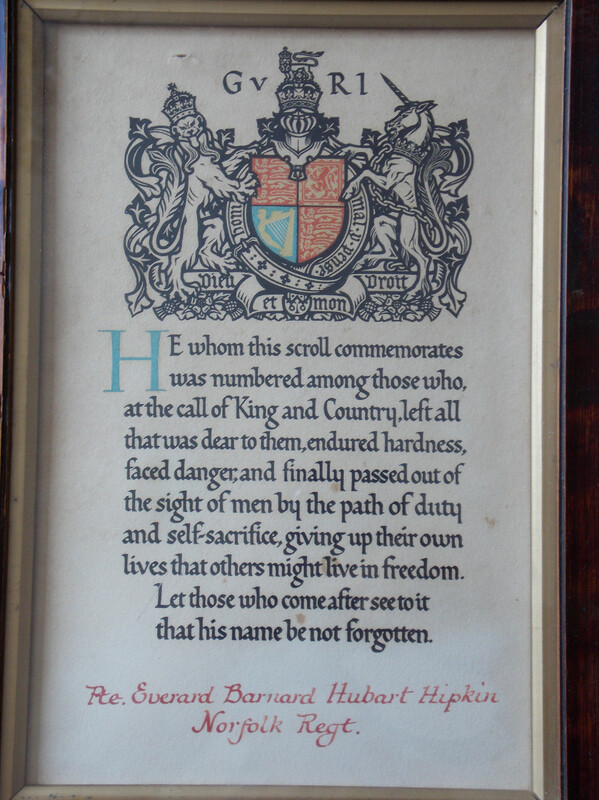 The Roll of Honour in St Andrews lists four Hipkins names and one wonders just how well the Rector knew the families concerned since their name is spelled without an S.
He was the son of William Hipkin b 1862 and Elizabeth Ann Pawley of Fakenham/Hempton. He married Gertrude Elizabeth Marion Curtis in St Andrews on September 17th 1919. He is listed on their marriage certificate as Farm Labourer, and she "Land Army"
James was awarded the British War and Victory Medals but there survives no record of when and where he served, though it was probably late 1915 posted to Mesopotamia. Gertrude served from July 1918 to November 1919 and was awarded Excellent Milker and Good Service Badges . To date we have found no record of a George James Hipkin or Hipkins serving with the Queen's Royal West Surrey Regiment and the most plausible candidate of that name is Pte. PW/6152 Duke of Cambridge's Own (Middlesex) Regiment also 1st Middlesex and 1/7th Midlesex Regiment. There is no surviving record of when or where he served save a Medal Index Card showing he was awarded the British War and Victory Medals. 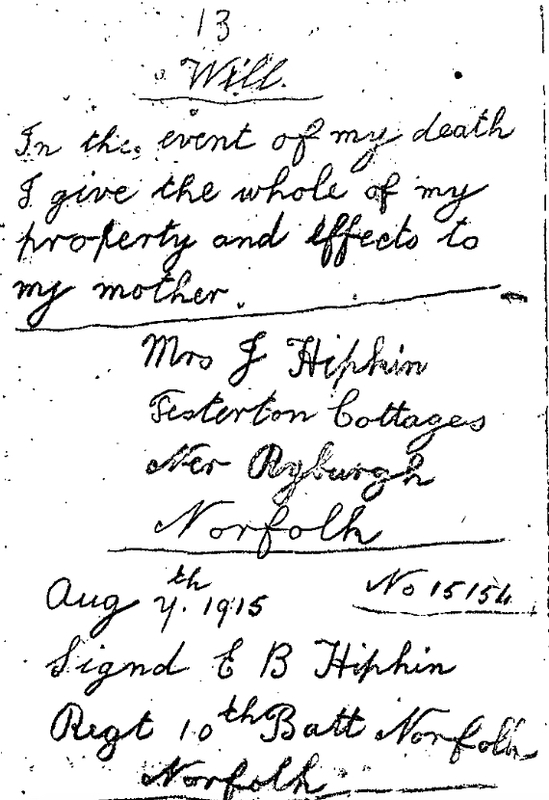 The death of 25 year old Albert Victor Hipkin is registered in the 1st quarter of 1916 in the Walsingham District Registers and he was buried in the New Churchyard at Little Ryburgh on January 22nd 1916. Battalion remained in the trenches north of Pozieres. These two days were quiet and nothing unusual happened. 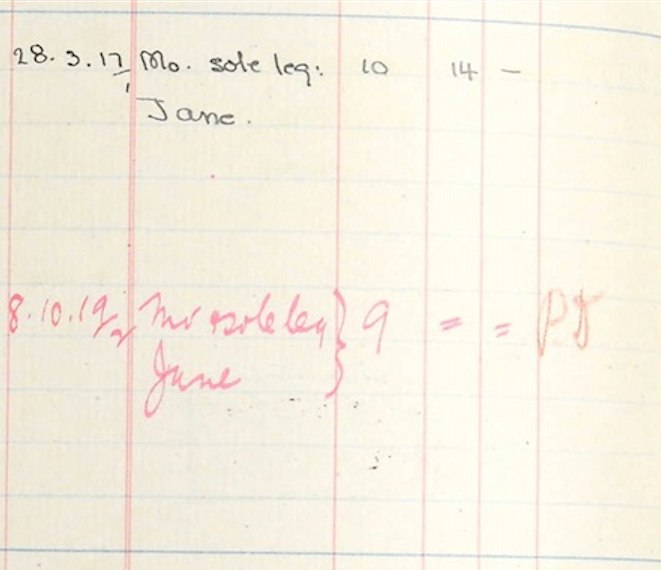 In terms of "compensation" for her loss the Army grants £19-14/-0d to Jane Hipkin.